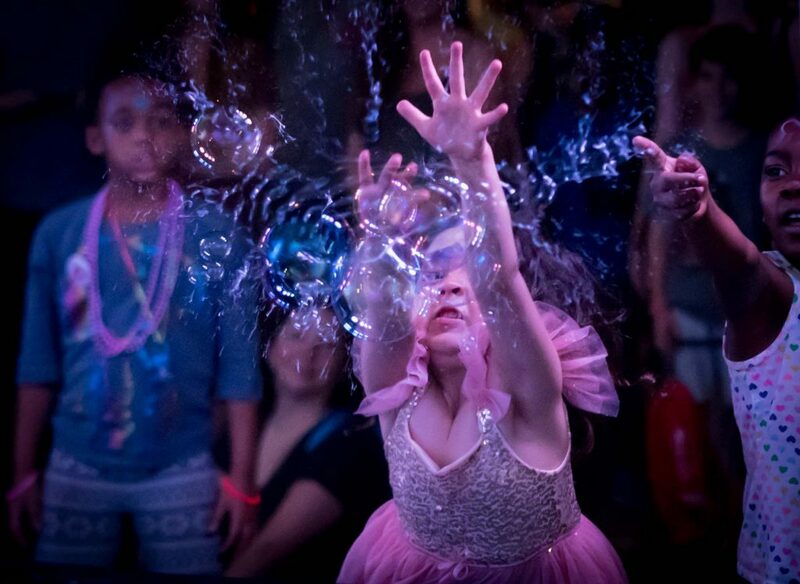 In the hands of Jennifer Shannon, bubbles come to life as she stares intently and makes them hang in the air. 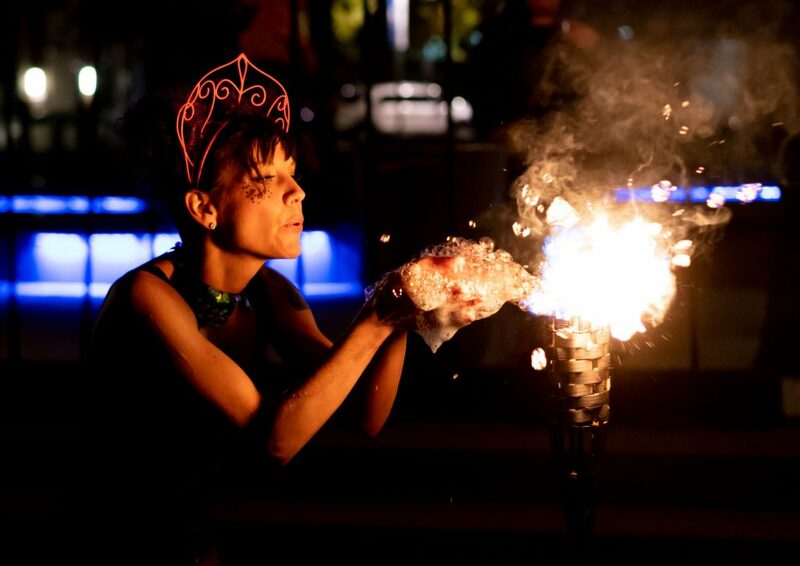 In the past year, we’ve been mesmerized by her adding “fire bubbles” to her performances. 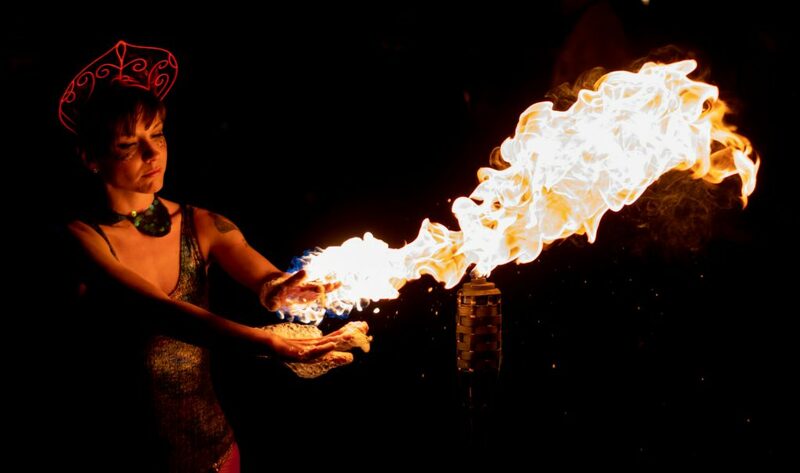 She starts her fire bubbles like the more traditional variety, dipping her hands into the bowl of bubble liquid. She carefully covers her hands and forearms with the liquid. 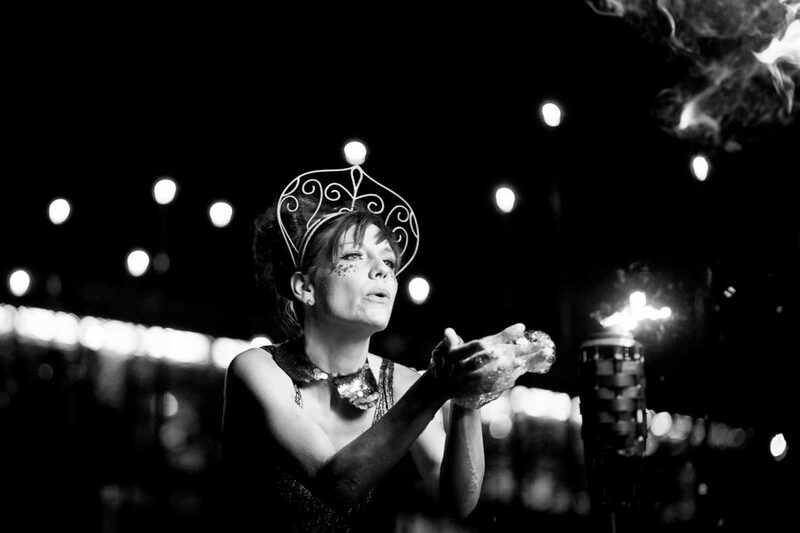 Then she calmly walks to a flame and scoops up the fire with her hands. 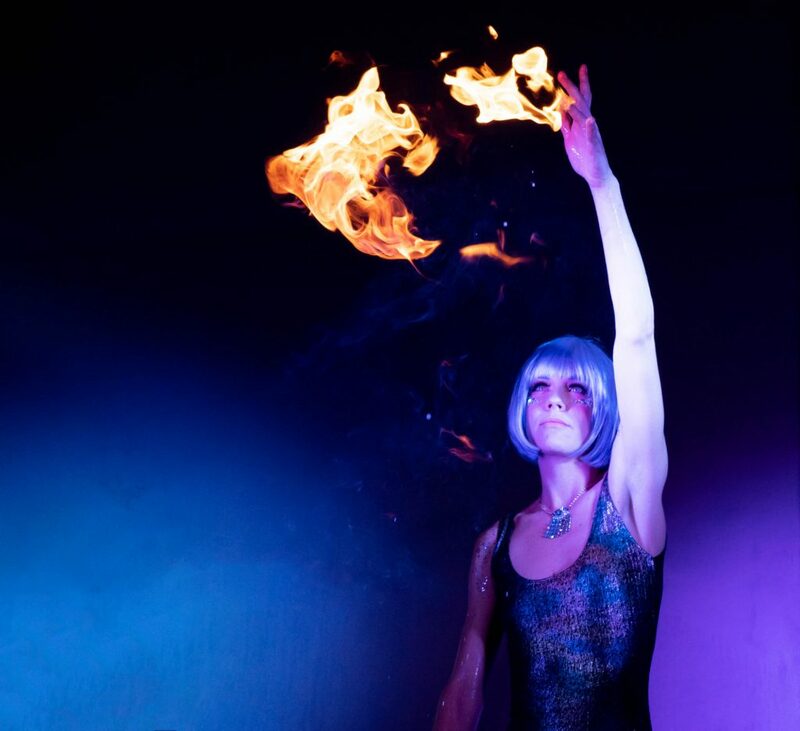 She pulls her hands up and away to make the flames soar. After a couple of seconds, the flames disappear and we’re left staring at the void. I created my version of the fire bubbles last summer. I had experimented with other versions of them in years past, but I needed a set up that would lend itself to my performances. 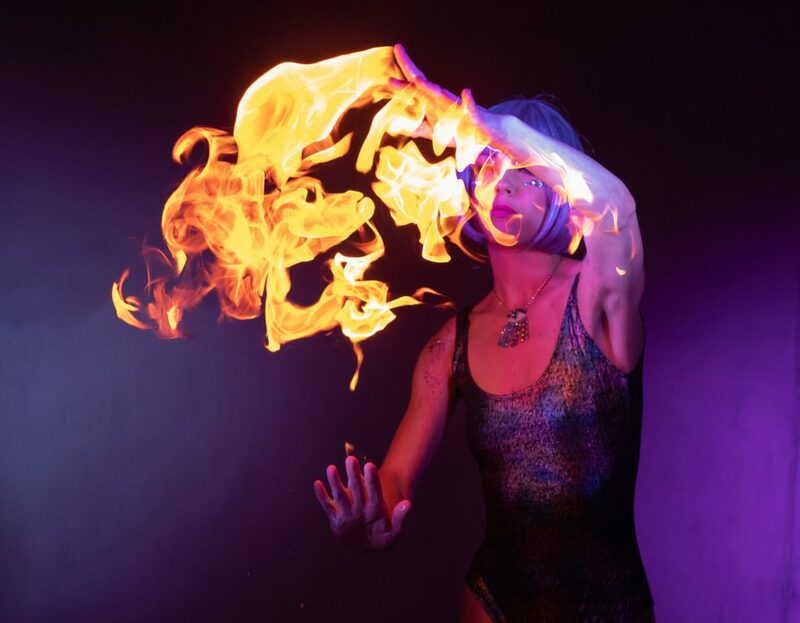 The fire bubbles continue to evolve, as I am now offering empowerment workshops with them. 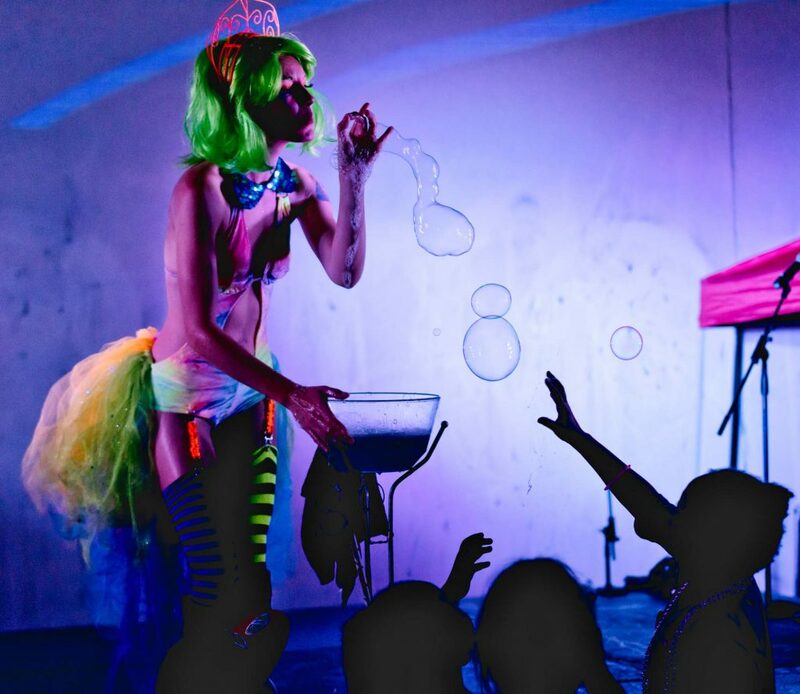 I am really looking forward to where these fire bubble empowerment workshops will go. The exercise is along the same lines as walking on a bed of hot coals or laying on a bed of nails. The goal is to invite participants to move with grace through fear and to dance with uncertainty. Want to see great photos of Jennifer and other scenes from D.C.? The annual Exposed D.C. show features photos that “celebrate the experience of the people who live, love, work, and play” in D.C. This year there are only 43 photos selected for the show to represent all aspects of the city, and yet two of the photos are of Jennifer. Definitely a disproportionate representation, but not surprising because her magical performances are so very photogenic. 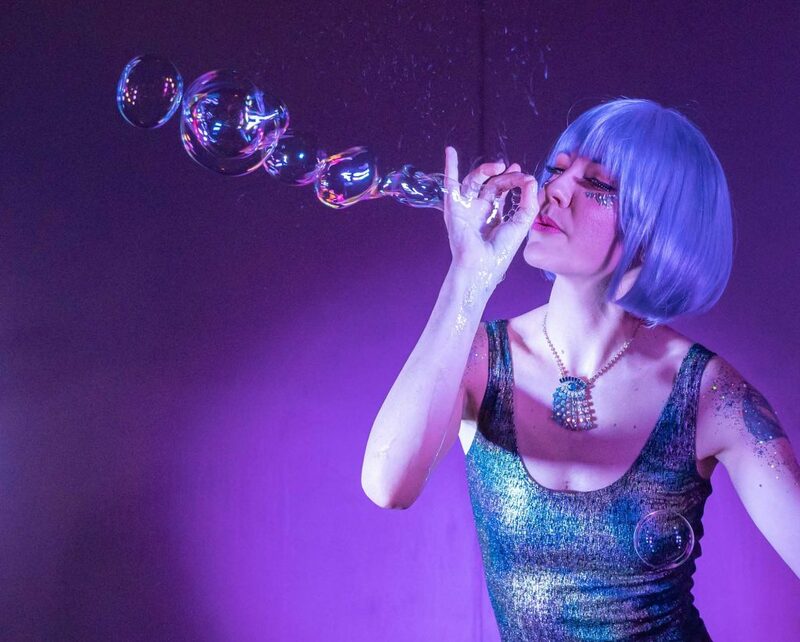 This photo in the exhibit, by Miki Jourdan, shows Jennifer staring through one of her bubbles. 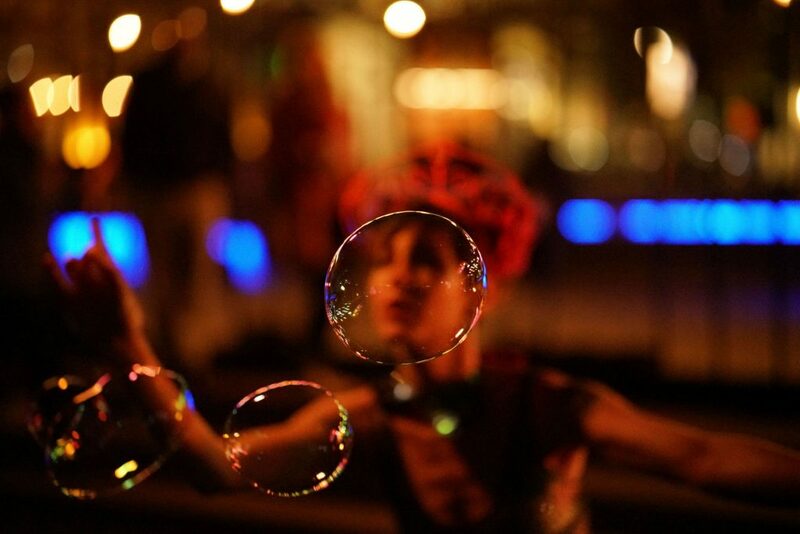 The other photo in the exhibit is by Jeffrey Morris, capturing one of her huge fire bubbles. All images copyright Miki Jourdan or Victoria Pickering unless otherwise noted.